Both governments and people tend to adopt only short-term responses to wildfire dangers that don't necessarily reduce risk effectively—it's time for that to change. 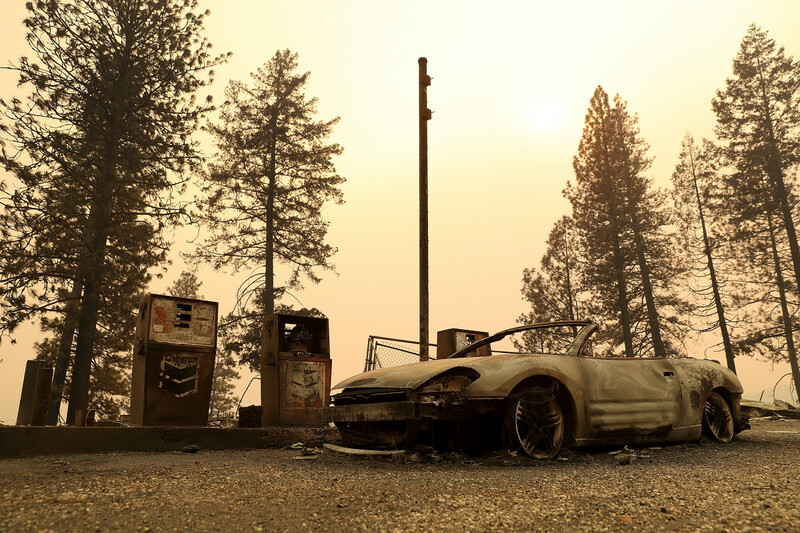 A burned out car sits next gas pumps at a gas station that was destroyed by the Camp Fire on November 11th, 2018, near Parkhill, California. Shaped by ignitions, climate, and fuels, wildfires are likely to become more frequent and severe with climate change. The 2017 experience of the largest and most damaging wildfires in California history, and ongoing destructive fires in 2018, provide a window of opportunity for learning to better co-exist with wildfire. But both governments and people tend to adopt only short-term responses that don&apos;t necessarily reduce risk effectively. For example this summer, Secretary of the Interior Ryan Zinke, after visiting fires in California, said the solution to wildfire prevention is more active management to remove fuel from forests. In his tweets, President Donald Trump criticized California&apos;s handling of the wildfires, blaming its environmental policies and saying that tree clearing is needed to contain fires. However, focusing on traditional approaches like fighting fires and fuels management alone can&apos;t solve the wildfire problem. Instead, California must become better prepared for inevitable fires and change how it develops future communities. For many decades, reducing ignitions was the focus of much public and government attention. Smokey the Bear chided, "Only you can prevent forest fires." Indeed, ignitions play a role in determining when and where fires occur. However, whether ignitions translate into fires that spread to larger areas with substantial risks to human infrastructure depends strongly on weather and fuel conditions at the time. State-of-the-art climate projections estimate that annual average daily temperatures are expected to increase by three to five degrees Celsius in the next few decades, increasing how fast fuels will dry out. In mountainous parts of California, increasing temperatures also cause snow to melt earlier, lengthening the summer fire season. 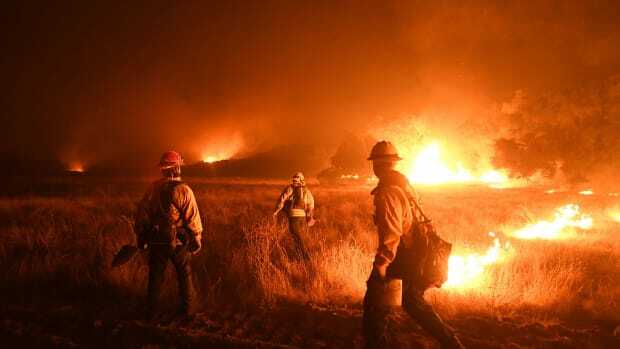 The number of days with extreme temperatures, when fire risks are especially high, is also expected to double by 2050. Higher temperatures and drought combine to create fuels that are dry and highly flammable. Extreme rainfall events, which contribute to post-fire flooding, erosion, and even debris flows, are also expected to increase in frequency and intensity. 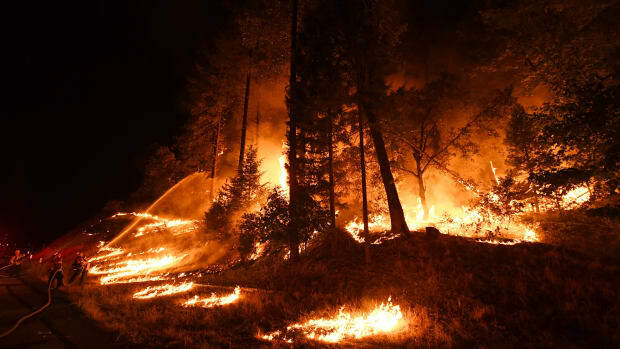 Taken together, these changes in climate are likely to increase the length of the fire season, fire size, and fire severity, and the impacts of fire for much of the state. Fuel management such as controlled burns, vegetation clearing, forest thinning, and fire breaks can sometimes reduce fire severity and limit the size of fires. However, like taking vitamin C and exercising, which cannot completely prevent colds, fuel management cannot eliminate fires. Dry enough fuels and high enough temperatures and winds will spread fires. And fuel management need to be maintained over time, or vegetation regrows and reduces the effectiveness of such actions—often within five to 10 years. Many of the largest and most destructive fire have occurred in the last decade. As of July of 2018, the Mendocino Complex Fire is the largest fire in recorded California history. In 2017, the Tubbs Fire, the most damaging California fire at that time, burned more than 5,000 structures. In response, the California state legislature is considering at least 57 bills related to wildfire. Our research shows that this is typical; governments often respond to wildfire quickly and decisively. But people and governments don&apos;t always respond in ways that reduce the risk most effectively. For example, our research shows that they place fuels management projects close to places that have had recent wildfires. These are often places at reduced risk of wildfire relative to places that haven&apos;t just had a wildfire. Reducing incentives to locate in the wildland-urban interface: Local decision-makers need incentives to support safer and more sustainable development, recognizing that fire is inevitable in their communities. The relative lack of disincentives to develop in risky areas—for example, expecting state and federal payments for suppression and losses—ensures that local decisions will continue to promote disasters for which we all pay. And people must begin to pay the costs for living in fire-prone landscapes. 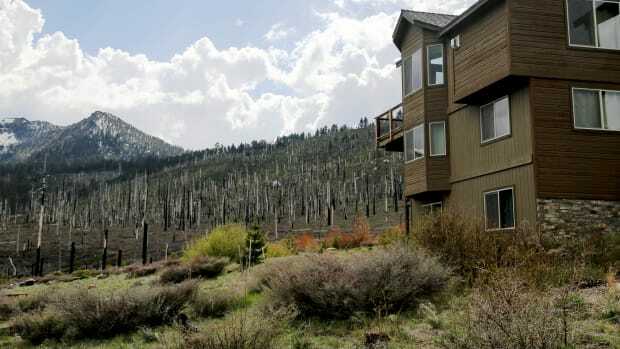 Rather than encouraging development by guaranteed fire insurance and publicly funded fire suppression, we need to ensure that prospective homeowners can make informed decisions about the risks they face in the WUI. Improving evacuation planning, education, and warning systems: Regardless of where people end up living, we will eventually be faced with evacuation due to inevitable wildfires. Evacuation planning can begin with spatial land use planning that accounts for multiple exit routes and ease of access. But it must extend to early education about evacuation. People must know in advance how to respond to wildfire, and evacuation-warning systems must be robust by having, for example, redundant technologies. 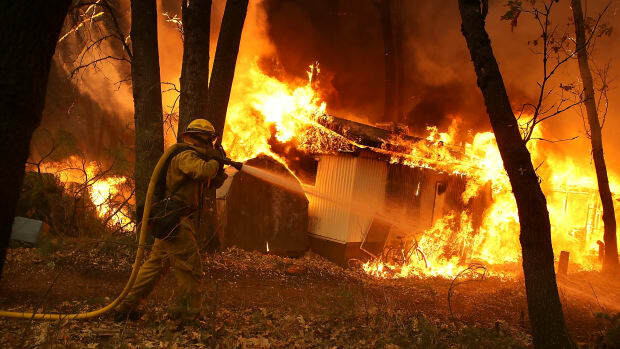 Warning and education must also address the many consequences of fire beyond home and infrastructure loss, including health impacts of exposure to smoke, post-fire flooding, and landslide risk. California has a great deal to learn from other inevitable natural hazards. Following the roadmap for earthquakes, from seismic planning to earthquake retrofitting to education campaigns, the state can move the response to wildfire from reactive fighting to comprehensive preparedness. Increasing wildfires—in number, size, and severity—may be inevitable. However, increasing home losses, fatalities, and costs are not. This article was originally published on The Conversation. Read the original article. Max Moritz is an adjunct professor at the University of California–Santa Barbara. Naomi Tague is a professor of hydrology at the University of California–Santa Barbara. Sarah Anderson is an associate professor of environmental politics at the University of California–Santa Barbara. Max Moritz is an adjunct professor at the University of California–Santa Barbara. Naomi Tague is a professor of hydrology at the University of California–Santa Barbara. Sarah Anderson is an associate professor of environmental politics at the University of California–Santa Barbara. Every level of government understood the dangers of a potential fire in the region but took few, if any, of the steps needed to prevent catastrophe. We have a pretty good idea of why some structures are more vulnerable to fire than others, but will those in power act on that information? The 2018 fire season in California is already shaping up to be worst than last year's, which cost the state a record $10 billion in damages. 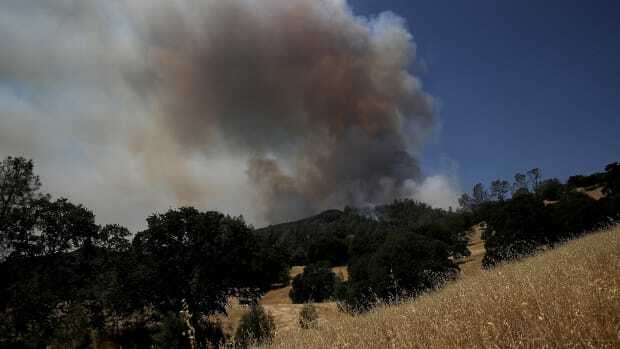 The Woolsey and Camp Fires mark a continuation of unprecedented burning in California. The Central Valley company faced $64 million in claims from the thousands of people who lost their homes in the Camp fire.